France Feudal. Cahors. Anonymous Bishops, 12th TO 13th century. Billon denier. Date : ca. 12th to 13th century. Denomination : Billon Denier. Mint : Cahors. Size : 16.3 x 17.4 mm. Weight : 0.69 grams. Obverse : Squared cross with CATVRCICS around. 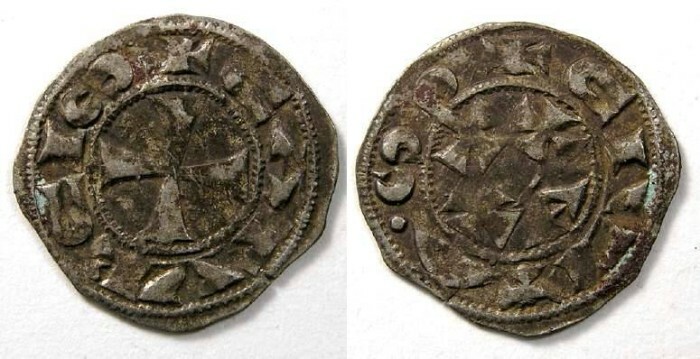 Reverse : CHI-RHO with an A below, flanked by two small crosses, with CIVITAS around.